Religious Education registration for 2018-2019 - See below for details. SCHOOL FAMILIES registering for A FAMILY OF FAITH click HERE to register. As we are beginning on our new "Family of Faith" journey for grades 3-6, you may have questions. Below you will find many of the answers to those questions. Please click on the link for the entire FAQ document or the individual questions. If you have further questions, please do not hesitate to ask! 1. What are the changes that are being made to the Religious Education program? 2. Why is St. Elizabeth making such a big change in the Religious Education program? 3. How does A Family of Faith work? 4. What happens at the parent meetings? 5. Why are there community meetings? 7. What about First Reconciliation, First Holy Communion and Confirmation? 8. What is the fee and what materials do families receive? 9. What are the benefits of Family Catechesis? 10. Is it true that St. Elizabeth is no longer offering Religious Education for grades 3-6 and only offering it for Sacramental preparation? 11. Won’t our children be missing information that would have been taught in class? 12. Has the parish reduced its commitment to the Religious Education program? 13. Will the school be involved in Family Catechesis? 14. What if the parent doesn’t know the faith well or doesn’t know how to teach? 15. What if I don’t have time to teach my children at home or attend meetings? 16. For what age children has this program been developed? 17. How will I know that my children are learning? 18. What are the expectations for families participating in this program? 20. What if I do not like to share my faith or talk about it? 21. Are there other options for Religious Education of my children besides participating in the Family Catechesis program? providing opprotunities for Christian service. Our Religious Education program serves children in Grade 1 through Grade 8 who attend public, independent, and home schools as well as all parish children and families preparing for their first celebration of the Sacraments of Initiation. We provide preparation for the Sacraments of Initiation for older children. 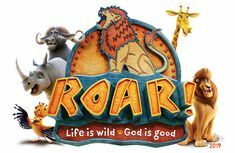 We offer Vacation Bible School in June for children Preschool-Grade 5. For Children ages 4, 5, & 6, we offer Children's Liturgy of the Word during the 9:30 Mass. Please contact Kim Conte, Director of Youth Formation for more information. St. Elizabeth Ann Seton parish is committed to assist parents in the evangelization and the ongoing formation of their children and teens through the reception of the sacraments of Baptism, Reconciliation, Eucharist and Confirmation. Our Youth Sacramental Program is offered in conjunction with our Religious Education Program and is designed to open and prepare participant's hearts, minds, and souls for the reception of these sacraments. Please contact Kim Conte, Director of Youth Formation for more information.